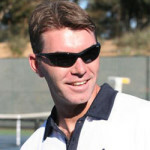 Located just outside of Sacramento, in Davis, CA, The adidas Tennis Camp at UC-Davis is Directed by Head Men’s Tennis Coach Eric Steidlmayer. This camp is designed for kids ages 13-18 who are interested in taking their game to the next level and playing in college. Check In: Overnight and Extended Day Campers 10-11AM, at Regan -Talara Hall – Rienda Building. Day Campers should check-in between 10:30 – 11:00am at Reed House. After the first day, Extended Day and Day Campers should arrive at 8:45am at the tennis courts. Check Out: Parents are invited to attend the match play tournaments that begin at 3:00pm on the final day. Check out will occur at 5pm at Regan-Talara Hall. After spending 14 seasons transforming his alma mater into a Division II national power, Eric Steidlmayer enters his sixth season at the helm of the UC Davis men’s tennis program in 2018. Hired to the position in July of 2012, Steidlmayer is no stranger to UC Davis, having served as an assistant coach with the Aggies for two seasons from 1997-98. Upon returning to UC San Diego in 1999, he reshaped the Tritons into a perennial national contender. Steidlmayer guided UC San Diego to 12 consecutive NCAA postseason appearances from 2000-11, including a national semifinals appearance in 2007, and a 20-0 regular season in 2011. UC Davis has undergone a similar turnaround since Steidlmayer’s arrival, taking over a program that won just six matches in 2012. In the last four seasons the Aggies have nabbed four consecutive winning seasons. It started with a 14-win campaign in 2014. Then, in 2015, Steidlmayer was named the Big West Conference Coach of the Year after guiding the Aggies to a then-Division I best 16 wins and a share of their first-ever Big West regular season title. In 2016, the Aggies topped the prior win total with a new record of 17 victories — including a run of 12 consecutive victories at one point. The 17 wins were the most for the program in a quarter century since 1991. In 2017, the Aggies again topped double digit wins, finishing 14-8 on the year and finishing in the National top 75 for the third year in a row. In 2016, UC Davis #1 player, Alec Adamson, was named the Big West Player of the Year and was the first Aggie at the Division I level to earn a berth into the NCAA Singles Tournament, finishing the year ranked No. 108 in the nation according to the Intercollegiate Tennis Asssociation’s final poll. He recently broke into the ATP singles and doubles rankings in 2017. Under his tutelage, a total of six student-athletes have earned All-Big West honors in singles — including a trio of first team honors bestowed upon Alec Adamson and two more to James Wade — and seven doubles pairings have earned all-league laurels in doubles. Off the court, the Aggies have also excelled in the classroom, hitting an average team GPA over 3.0 for the last five season. Before his arrival in Davis, Steidlmayer amassed a .628 winning percentage during his career at UCSD, posting a record of 182-108 over 14 years. He left UC San Diego as the winningest men’s tennis coach in Tritons’ history. He has run tennis camps since graduation from UC San Diego in 1996 and absolutely loves the four days of College Prep Camp at UC Davis. He hopes to see you there!